Inversion therapy has been around for decades, but it became extremely popular in 1978, when a research study was conducted that verified the validity of it being an effective treatment for back pain. The therapy involves securing the feet and ankles and placing them in a position higher than the head. This is most often accomplished with an inversion table, where your ankles are held in place and the table rotates to varying degrees of inversion, based on your comfort level. The therapy has tremendous effects on the relief of back pain and improves the structure of the spine. Also, if you suffer from spinal injury such as disc herniation, bulging discs or spinal stenosis, inversion is an affordable and effective way to get you on the path the recovery. Read more to learn about its many positive benefits. Most of our lives are spent sitting and standing. Our spines and constantly under the burden gravity, working 100% of our waking hours to keep us upright. This causes tremendous strain on the muscles supporting the spine. After a long day of working in front of the computer, your muscles are likely to start aching and cramping, forming painful ‘knots’ and kinks. By placing your feet over your head on an inversion table, you get a full-body traction effect. From head to toe, your body will lengthen and stretch. This provides relief to the muscles, especially in your back. Not only do they get a break from supporting your posture, but they are stretched. Muscle spasms and cramping start to dissipate as muscle activity is reduced (see research referenced above). In addition, the spine is realigned. When sat for long periods, we often favor one side to another, or cross one leg of another. This causes an imbalance in our structural support system. When fully stretched out, your vertebrae are realigned and your back is straightened to its natural optimal length. The end result is back pain relief. Similar to what can be achieved with massage. Spinal disc compression is one of the most severe negative effects of sitting and standing for too long. 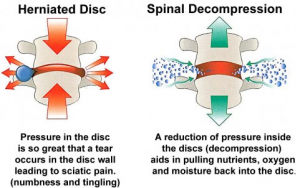 When the discs are compressed, they often bulge outward, coming into contact with the nerves surrounding the spine. This is experienced as intense pain. When inverted with the ankles locked firmly in place, the body comes into a full-body traction. Studies show that a 70% slope angle accomplishes the same effect as 100%. Along your entire spine, the vertebrae and gently pulled away from each other and the spinal discs are decompressed. When in this state of decompression, the discs are allowed to re-hydrate. They absorb the inter-disc fluid used the pad the vertebrae from each other. Your spine, thus, becomes more healthy, supple, and pain free. Severe cases of spinal injury such as bulging discs, herniation, and spinal stenosis have been shown to be treatable with inversion therapy. Due to the decompression effect, increasing the space between the discs reverses the negative effect of gravity and allows the body to recover from injury. For those with scoliosis, the re-alignment effect can cause incredible relief, especially if the curvature is pronounced. In the region where you experience your scoliosis, you’ll be able to feel less lateral pressure due to the straightening of the vertebrae. To achieve the desired effect, you should use your inversion table for at least 10 minutes a day for the first few weeks. After that, it can be toned down as required to maintain pain relief. 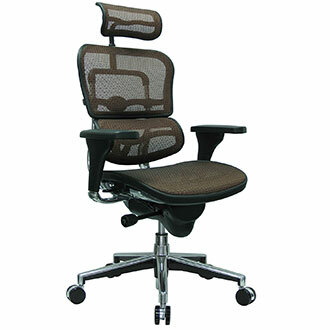 Another negative effect of our sedentary office lifestyles is lack of circulation. Sat in front of our computers, we’re not likely to get any self-induced circulation boost, like from cardiovascular exercise. Our blood begins to sit, and ‘stale’ blood begins to collect in regions of our body. As a result, distribution of the body’s nutrients becomes un-optimal. When the feet are placed above the head, blood redistributes through out the entire body. More oxygen and nutrients are supplied to the brain. Stale blood leaves the legs and feet. Many people report significant positive effects, that you can feel after just one session. Adjustable angle: At first, inversion can feel a bit awkward. Also, large flip angles are not recommended for those with high blood pressure. Select a table that has a varying angle. Benefits start at 20 degrees. Find the angle that feels right for you and take your time. Comfortable straps: A common complaint is that the ankle straps are uncomfortable. Make sure you read reviews to determine which products don’t have people complaining about ankle pain. Price: Some products are highly overpriced, with respect to the value they deliver. On the other hand, some products are have incredible value and are offered at great prices. Check out this Top 5 List. All the products on this list fit the criteria above.